Carmel Mountain Ranch is a Master Planned community in North San Diego CA. It is located just west of Poway, South of Rancho Bernardo, and east of Rancho Penasquitos. The Community features approximately 12,500 residences with a nice mix of Single Family detached homes, condos, and many shopping areas. 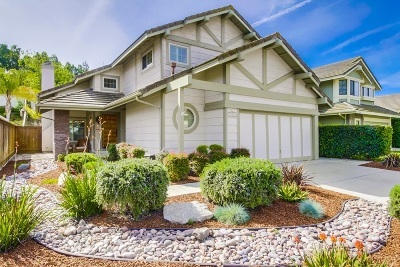 Click to read more about Carmel Mountain Ranch real estate or see the Carmel Mountain Ranch homes for sale below. With the completion of State Route 56 the Carmel Mountain Ranch area has seen the price of homes increase considerably. This is due mostly because it now only takes 15 minutes to get to the Del Mar area beaches. Residents of the Carmel Mountain Ranch Community will mostly attend Poway Unified School District schools but some areas attend Rancho Bernardo schools. If you are interested in having your children enrolled into a particular school be sure to call the school before purchasing. Contact a Carmel Mountain Realtor to learn more about any area homes listed on this site.